Hello! 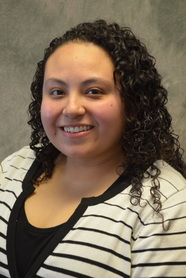 My name is Lizzette Chavez I am a second degree nursing student at Grand Valley State University. I have the privilege of serving as the director for Image and Breakthrough to Nursing for MNSA and absolutely love what I do. My desire is to reach out to individuals who will be leaders and catalyst for change in this profession. Once I graduate my desire is to work in the ER or ICU. I truly enjoy the fast pace and autonomy that these areas offer. My involvement with MNSA has also made me realize that I have a big passion for public health nursing. Once I graduate, my hope is to work on my clinical skills for a couple years and eventually transition into community based nursing. Serve as co-Chairperson with the Community Health Director for the Committee on Image of Nursing.